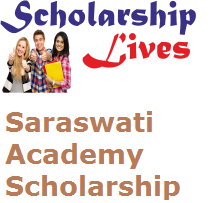 Saraswati Academy is going to the conduct the Saraswati Academy Scholarship 2019 Test in the upcoming days at various centers across the Country. The main objective of the SAST Test is support the deserving students financially to achieve their goals of attractive top professionals with affordable coaching and to give them this once-in-a-lifetime golden opportunity. As per latest official news, scholarship examination will be held at various centers spread across the country, West Bengal, Tamilnadu and Karnataka. Scholarship is key factor for all those students who need financial aid all 10th Passed Students get high amount and they will also be optimistic to achieve their dreams to their own. For more details like eligibility Criteria, Selection Mode , How to apply online which is mention below check it carefully. Test Centers: Test Centers: Asansol , Krishnanagar , Burdwan, Berhampore , Dumdum and JKP. First check the eligibility first which mention above is. A unit of Saraswati Online.Com India Ltd.
Tel : +91 80 2334 3207 / 2334 3169.